50 Halloween images for only £9.75! Trick or Treat? 50 Halloween images for only £9.75! Give your website and social media a seasonal treat by adding some haunting images from our Halloween bundle. 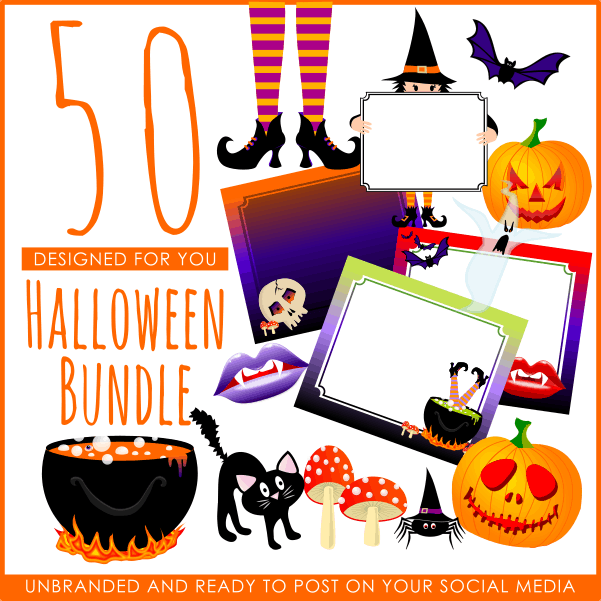 Use our Halloween bundle of 50 images and you’ll have all the images you need for a fabulously haunting Halloween themed promotion!! Perfect for your social media promotions. Clear backed png images and 300dpi. 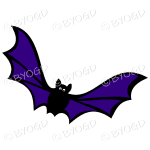 Fit snugly into a 600px x 600px square, though the actual image size varies depending on its shape. Template backgrounds specially shaped and sized for Facebook. You can use these with all graphics programs, such as Canva, PowerPoint, Piktochart, Easel.ly, PicMonkey and Easil. Of course, if you know how to use them, there’s also Inkscape, Illustrator, Photoshop, Corel and many others! 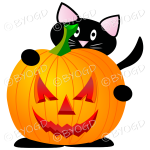 Buy all 50 images in the bundle for just £9.75 (approx $12.60) or visit our Collection to purchase any of the Halloween images individually for £0.75p (about $0.97) each. 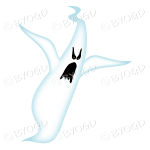 Type Halloween into the Search bar of The Collection page and they’ll all appear as if by magic!